Professor Masato Katoh, Department of Forest Resource, Institute of Mountain Science, was entrusted "Evaluation of Usefulness of Advanced Land Optical Satellite No.3 (ALOS-3) in Forestry" by JAXA (Japan Aerospace Exploration Agency). 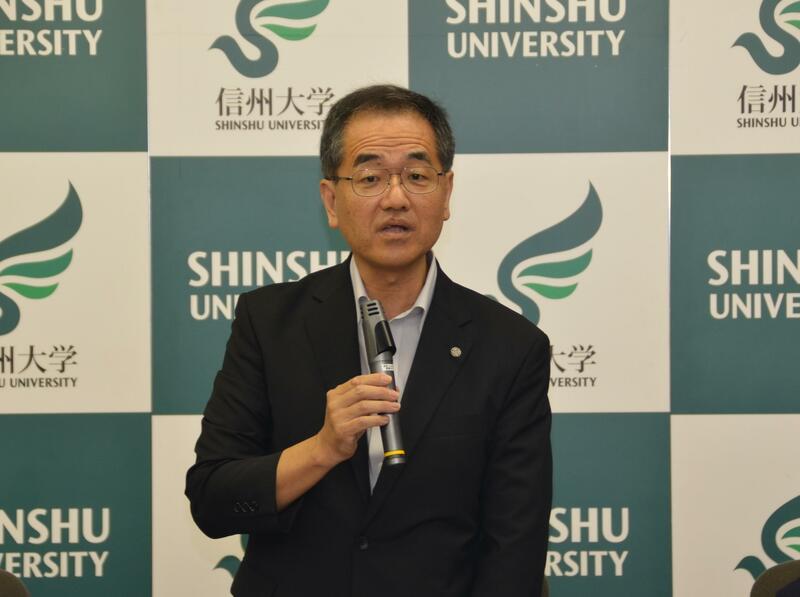 Responding to this, a press conference was held at Matsumoto Campus in Shinshu University on September 21st. 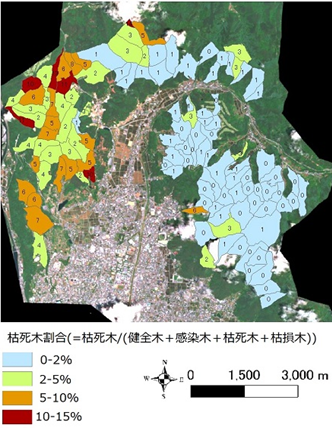 In order to examine the utilization of ALOS-3 to be launched in FY2020, based on some original technology seeds developed by Professor Katoh, tree species classification using observation bands of advanced optical satellites, and evaluation of usefulness of categories of pine beetle damage will be conducted in collaboration with Nagano Prefecture, Matsumoto City, Ina City, Kita-Shinshu Forestry Association. 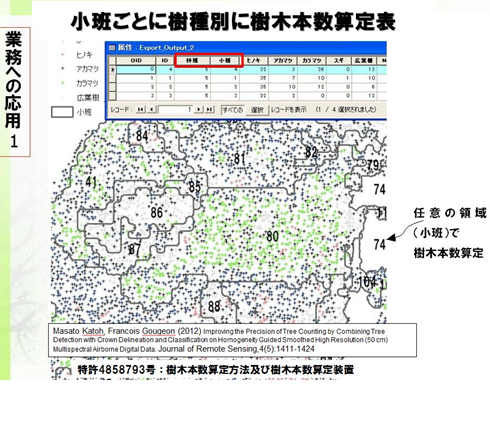 There have been few demonstration cases using artificial satellites in the field of forestry in Japan. If this research project is completed, The expenses of forest management will be reduced and it will be utilized by local goverments nationwide. In Nagano prefecture in recent years, pine beetle damage has exploded and it is difficult to grasp the damage situation with visual confirmation. Agricultural Forestry Division in Matsumoto City and Ina City expects for accurate damage classification of each tree using artificial satellites in order to cut down infectious trees and reduce the spread of pine beetle damage. By using the damage assessment program (Japanese Patent Application No. 2016-54551), we can classify individual trees into healthy trees, infected trees, and dead trees with comparing the satellite data before and after the damaged stands. ALOS-3 are also effective in grasping the composition of hardwood-conifer forests and utilizing the forest resources of Jpn. Cedar, Hinoki cypress and Larch trees, and will be used at Kita-shinshu Forestry Association (Nakano City). Intellectual property to be used is a method of calculating the number of trees (Patent No. 4858793), a tree species classification method and a tree species classification system, a method of selecting an area to be thinned out (Patent No. 4900356), a calculation method of forest resource information (Japanese Patent Application No. 2016-227207 ). By using these programs, we extract tree crowns of each tree from the satellite images and analyze forest information such as tree species classification, number of trees, tree height, breast height diameter and timber volume. This research is expected to greatly contribute to the realization of smart forestry and growth industrialization of forestry. We will grasp tree information on a single tree basis using advanced optical high-resolution satellites and automatically count the number of trees by tree species in forest owner boundary. We compare the satellite data before and after the pine beetle damage using the damage assessment program (Japanese Patent Application No. 2016-54551), and classify trees into healthy trees, infected trees, and dead trees.